The Central Florida Youth Club of America makes It easy. This is a great Place to Mentor and Coach teens in many aspects of life! Working is just 1 part of our program designed to Help the Youth of Today for a better Tomorrow by teaching them to Earn their own Way in Life! Working with many local companies and programs in Central Florida, we not only help the individual teens but we also help the families of the Youth involved in the program. All interested parties for the Mentors must pass a Background check before working with the Program & Have a Minivan or Larger type vehicle or Van. Contact us for more info on the various ways to be involved with helping America's Future Generation. The Central Florida Youth Club of America is always looking for Help in the mentoring of Teens in the Orlando area. Supervisor / Mentors are required to have transportation to work with the various groups of teens in Central Florida and have a desire to assist them in learning life skills. 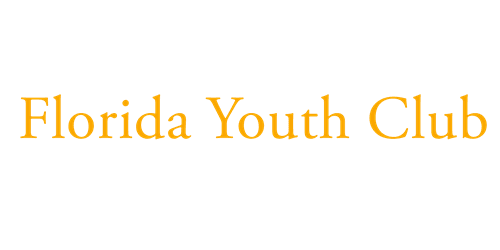 FLORIDA YOUTH CLUB OF AMERICA (C.FYCA) is a unique educational program for teenagers. Over the years, we have helped young people from all backgrounds become more responsible citizens.Working within the structure of the home and family, teens participating in our program learn many important basics that will prepare them better for the future. FYCA is a non-profit organization which provides its members the opportunity to receive the following benefits: Learn a Career Skill Earn Their Own Money, Attend Drug and Alcohol Awareness Seminars, Participate in Community Service Projects, Receive Awards and Prizes for Outstanding Service and Prepare for themselves to become Responsible Future Citizens of the USA ! C.FYCA. sponsored recreational activities We believe that by organizing a teenager's free time and keeping them busy and involved with positive activities, they won't have time for negatives i.e...drugs, alcohol and gangs. FYCA is not a tax funded program. We are a youth program that is totally self supporting. Our trips and activities are funded totally by local neighborhood house-to-house fundraisers of our candy, cookies and gift items. We believe that a drug free nation is possible and that the ideal place to start is with our youth...THE FUTURE LEADERS OF OUR GREAT COUNTRY.